This was the opening of the re-development of the Edgbaston Practice Grounds by Charles Church. The event also considered with a building awards presentation to Charles Church. 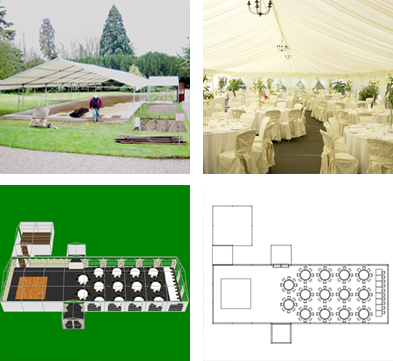 The Marquee was a 30ft x 40ft Marquee with Ivory Pleated Linings and swags co-ordinated to Charles Church colours. The caterers serviced for event from an adjacent Show Home.